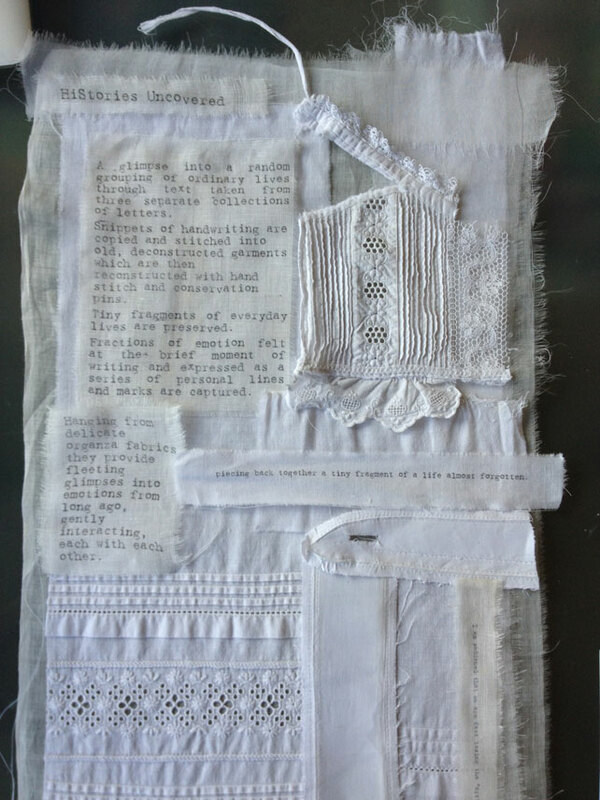 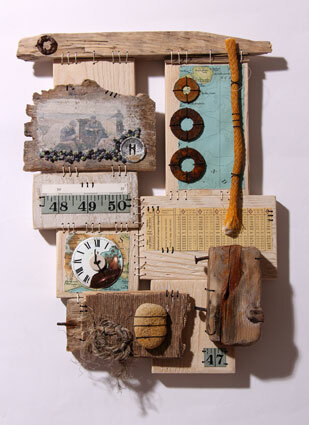 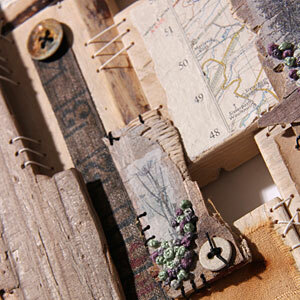 You will spend the day creating a hand stitched mixed media piece from “patches” of repurposed wood. 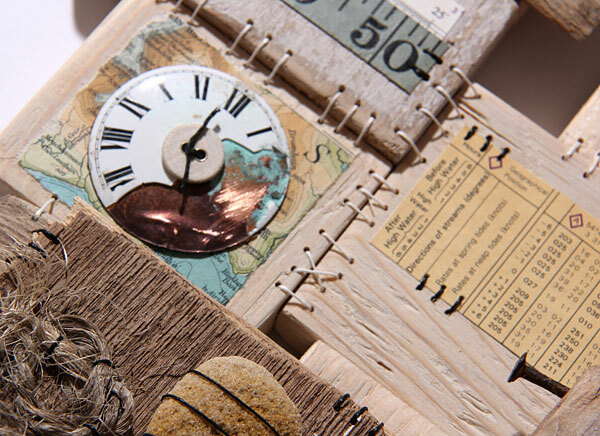 You will add bits of natural driftwood and a variety of found “treasures” such as rusty washers and nails, pieces of rusty wire, old maps and anything else that comes to hand. 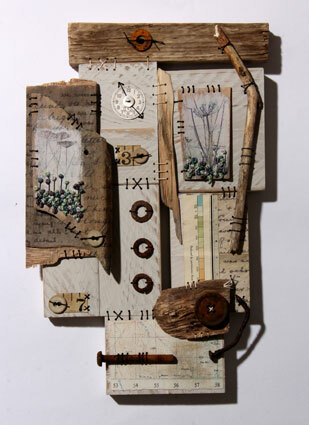 You will learn how to print high quality images onto your wood using an inkjet printer. 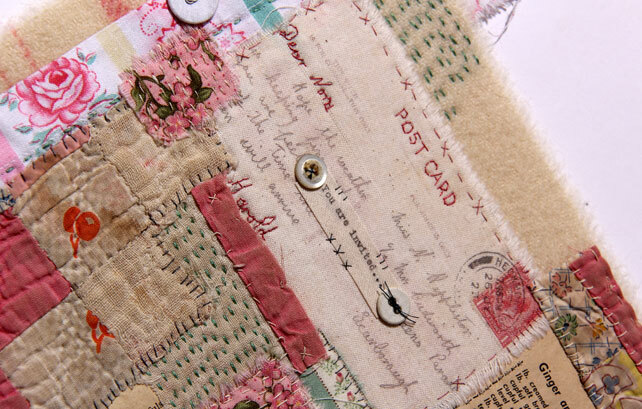 Your “patches” will be brought together and embellished with hand stitching. 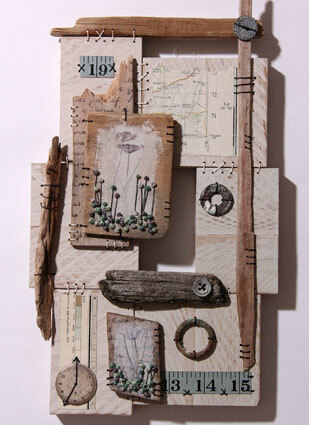 To make your finished piece even more personal you may wish to bring along your own photograph and other bits & pieces to use – I will provide a list of suggestions on booking.